The new Ford Ka+ Hatchback is longer than its predecessor but shorter than the Fiesta, a car with which it shares its underpinnings. And despite being shorter than the Fiesta, it’s actually taller than its sibling. As such, headroom is good, and the overall interior space is impressive. The car is also good fun to drive, affordable – but only comes with one engine. 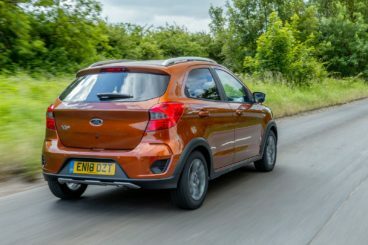 OSV takes a closer look at what it’s all about with our 2018 Ford Ka+ Hatchback review. The Ka+ costs less money to buy than the Fiesta, but because it shares its sibling’s underpinnings, it’s very much the same car out on the road. This means that it’s fun and engaging to drive, and you feel just as involved in the experience as you do when you’re in the Fiesta. The steering is precise and ensures that the Ka+ is well-planted, and we like the 5-speed gearbox. It’s slick and pleasant to use. The suspension setup, meanwhile, does a good job of ensuring that body lean is well resisted. For the most part, the ride is comfortable, and most lumps and bumps are nicely smoothed over. In terms of its engines, there’s just one available. This is a dated 1.2-litre petrol engine, which means that as well as there being no diesels in the range, there’s also no new engines at all. This is a shame because the 1.2-litre petrol – despite being offered in two power outputs – just isn’t up to the job. The smallest variant develops just 69bhp and takes an aching 16.0 seconds to complete the 0-62 dash. The bigger variant, meanwhile, develops 84bhp and isn’t even available with the lower spec models. It’s much quicker than the 69bhp engine, but a 0-62 time of 13.6 seconds is hardly outstanding. Neither engine impresses us, and Ford has really missed a trick here. The Ka+’s driving experience might be engaging, but because you have to work the small engines so much, you’ll have less fun than you would in the Fiesta. That said, if you can get over the engine’s obvious deficiencies, there’s no reason why you can’t still have a good time in the Ka+. The Ka+ is comfortable and quiet, and because it’s so spacious it feels bigger than it really is. You’re positioned upright and surrounded by lots of glass that let floods of light in. The materials used are acceptable, visibility is good, and so is ride quality. It’s a perfectly pleasant place to spend your time on the road. The dashboard is brand new for 2018, and it impresses us. It’s smarter than the one it replaces, and although it’s smaller than the one in the Fiesta, it looks better. The fit and finish are good, the dials are nice and clear, and the materials are decent. We love the layout, too. Ford has eliminated a number of buttons and tidied things up. Is the Ford Ka+ Hatchback practical? For such a small car, there’s a vast amount of interior space available. It feels big and one of the reasons for this is the clever upright seating position. Headroom is good, the big windows create the illusion of even more space while enhancing visibility, and the Ka+ can offer an amazing 21 different storage solutions. These include large door bins and a pair of cup holders up front and in the rear. The boot, meanwhile, measures 270-litres, which is very reasonable. Its shape is a bit too upright but split folding rear seats come as standard. Drop them and you can increase the load capacity to 849-litres. Standard kit is good across the range, but some buyers might be frustrated that the 84bhp engine isn’t available with the entry-level model. What you do get is air conditioning, remote central locking that comes with an alarm, Bluetooth and electric windows. The Zetec costs £1,000 more and is well worth checking out. As well as with the bigger engine (although you do have to pay a further £300 to get it), it also comes with AppLink, a digital radio, cruise control, a leather steering wheel and 15” alloys. Optional extras for the Zetec model include a driver’s armrest, heated front seats, a spare wheel and tinted rear windows. Standard safety kit includes a tyre pressure monitoring system, ISOFIX child seat mounts and electronic stability control, but the car misses out on autonomous emergency braking. Prices for the new car start out from £9,795 and rise to £12,095. For more information on our leasing deals, you can check out our page here. In terms of its running costs, there’s only one engine to choose from and it’s a 1.2-litre petrol unit that can return as much as 56.5mpg on a good day. That’s pretty much par for the course in this class, while its emissions of 114g/km of CO2 are also competitive. It has a BiK rating of just 19%. That said, as attractive as those figures look, a lot of its rivals can return over the 60mpg economy. On the other hand, it’s really cheap to ensure, with the entry-level model sitting in group 3. How does 21 different storage spaces grab you? It’s kinda remarkable how spacious this relatively compact car is. It’s a Ford, so it’s hard to expect anything else. It’s one of the slowest cars in this sector – by some margin. The sole engine is available in two power guises and both feel underpowered. Let’s see how the car fares against its rivals in the comparison section of our 2018 Ford Ka+ Hatchback review. 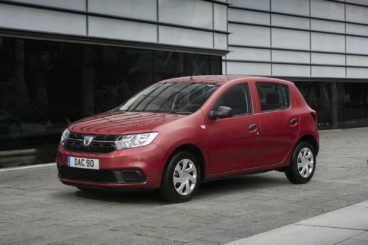 The new Dacia Sandero is one of the most value for money cars on the planet. It’s cheap to buy and own and boasts a massive boot for a car of this size. On the road, it’s hard to expect too much from a car that costs less than £6,000. It’s comfortable but it’s hardly a coupe. The steering is going to feel too heavy in the towns and cities and there isn’t as much feel as we’d like. Body lean in bends is excessive, while the steering emits too much kick-back at times. Still, there’s lots of grip, and a safe and predictable driving experience is what some buyers will be looking for. In terms of its engines, there are two petrol engines on offer. They’re available in two separate power guises but this – and their 0-62 time – is really the only way to tell them apart. They weigh roughly the same. The bigger of the two is a turbocharged 0.9-litre TCe 90 unit. It comes with three cylinders, has lots of character, develops 89bhp, and covers the 0-62 dash in 11.1 seconds. That means it’s considerably faster than the range-topping Ka+, and it’s a thoroughly responsive and engaging engine. The smallest of the two is a 1.0-litre sCE 75 engine that’s still fairly new. It develops 74bhp, has a 0-62 time of 14.2 seconds, and is actually more responsive than the bigger engine. Running costs? This new 1.0-litre sCE 75 petrol is modern and clean, and it can return as much as 54.3mpg on a good day. That’s a big improvement on the engine it replaces. Meanwhile, the bigger 0.9-litre engine is good for 57.6mpg at best and emits 109g/km of CO2. Inside, the cabin won’t excite you but it’s a decent place to spend your time out on the road. It’s basic stuff but nowhere near as bad as you might expect from such a cheap car. There’s a lack of high quality, soft-touch materials, but if a functional, rugged and easy-to-use cabin and dashboard is what you’re looking for, it doesn’t do a lot wrong. Is the Dacia Sandero practical? It’s very roomy for a car of this type, and sports dimensions that outdo many rivals – though not the Ka+. All models come with five doors, and the advantage of this is that accessing the rear seats is easy. Storage solutions are good and include big door pockets, while the boot measures 320-litres. That’s a whopper in this class. It’s akin to a skinny person with a huge appetite and stomach. You’re left asking yourself: Where does it find the room? Fold the rear seats and it extends to 1,200-litres. 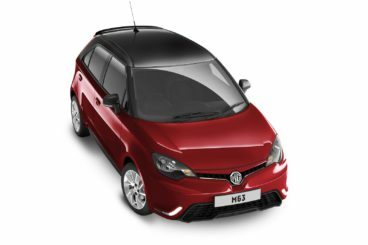 The MG3 is stylish, affordable to purchase, and – like the Ka+ – can boast a serious amount of interior space. The biggest problem the MG3 struggles with is the same one that the Ka+ struggles with – a great driving experience that’s let down by a poor engine. There’s just one power plant available. It’s a 1.5-litre petrol that develops a healthy 105bhp. It can whizz you from rest to 62mph in 10.4 seconds, which makes it the quickest in this review. The problem is that it doesn’t feel as fast as that. It’s also rough, noisy, and accelerating requires you to have a lot of patience. Worse still, it needs to be worked hard out on the motorway. This can dampen your enthusiasm, because other than that the MG3 is a lot of fun. Its steering is super responsive, there’s plenty of grip available and body lean isn’t too bad at all. However, a firm ride is an issue. Running costs? The single petrol engine can return 51.5mpg at best, but that’s only according to the official figures. In the real world, you’ll be looking at returns of around 45mpg economy, which is massively disappointing. Inside, the MG3’s firm ride means comfort is never going to be fantastic but the seats are supportive and we like them. Other than that, the design is neat and the cabin is ergonomically sound. The dashboard is logically arranged, but there’s a real lack of quality on the whole. Is the Ford Ka+ Hatchback practical? For this price, it really is. 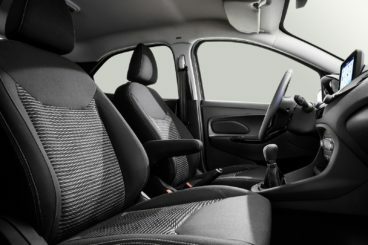 The interior feels enormous for such a small car, and it’s more than a match for the Ka+. All models come with five doors, the wide opening rear doors are a bonus, and leg and headroom are perfectly acceptable for four adults. The boot, meanwhile, is average for this class and can extend to 1,262-litres when you fold the rear seats. It’s small, it’s fun and it’s cheap to run – it’s the new Ka+. Of course, there’s more to it than that, but if you need a roomy, entertaining and practical family hatchback, this compact superstar is hard to ignore. It might have been away for a while, but with this strong showing, it feels like the Ford Ka+ Hatchback never went away at all.